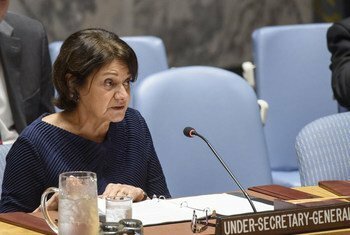 There are signs that North Korea (formally known as the Democratic People’s Republic of Korea, or DPRK), is “still maintaining and developing its nuclear weapons and ballistic missile programmes”, Rosemary di Carlo, United Nations political affairs chief, told the Security Council on Monday. 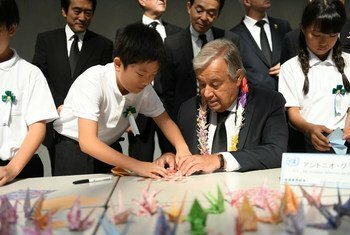 The survivors of the atomic bombings, known in Japanese as the hibakusha, have become global “leaders for peace and disarmament”, United Nations Secretary-General Antonio Guterres said at Thursday’s Nagasaki Peace Memorial Ceremony in Japan, commemorating the 73rd anniversary of that devastating day. Despite the continued presence of thousands of nuclear weapons in global arsenals, it is possible to achieve the goal of ridding the world of this deadly scourge, Secretary-General Ban Ki-moon told a gathering in the Japanese city of Nagasaki. 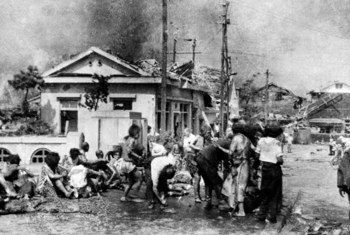 The 64th anniversary of the dropping of the atomic bomb on the Japanese city of Hiroshima serves not only as a reminder of the destruction wrought by nuclear weapons but as a time to renew the global commitment to rid the world of this deadly scourge, top United Nations officials said today. 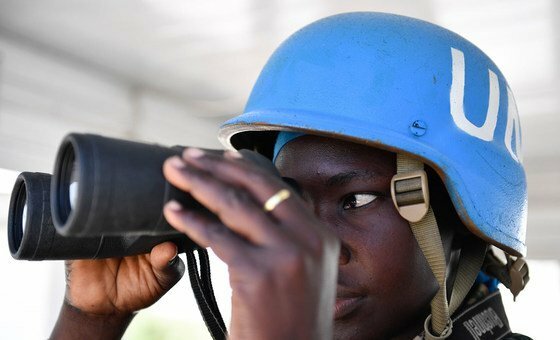 Secretary-General Ban Ki-moon today urged greater progress towards achieving a world free of nuclear weapons, warning that humanity still faces serious threats from this global scourge nearly 20 years after the end of the Cold War. 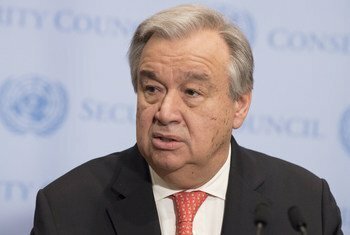 Noting that the Comprehensive Nuclear-Test-Ban Treaty (CTBT) has still not been brought into force over a decade after it was agreed, Secretary-General today renewed his appeal to all States that have not yet done so to adhere to the pact. Secretary-General Ban Ki-moon today launched the “WMD-WeMustDisarm” campaign, beginning the 100-day countdown to the 2009 United Nations International Day of Peace, which this year focuses on nuclear disarmament and non-proliferation.